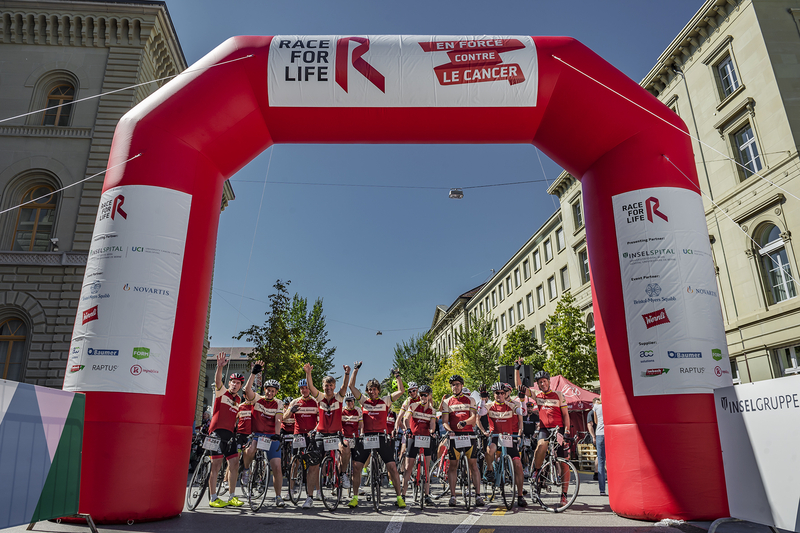 The Race for Life is a charity cycling event in favor to cancer patients. Each year, 39,500 people in Switzerland are diagnosed with cancer. Every day they fight for their lives over and over again. To show our support, we organize the Race for Life every year. Participate at the charity cycling event, get on your bike, keep your wheels turning and collect as many donations as possible. While the teams are cycling on the tracks, there’s a unique program running on the Bundesplatz in Berne. At this festival of solidarity you can inform and exchange yourself with others and share your thoughts and wishes. The specialized staff of our partner organizations are on site, providing information and answering all your questions. Small contests, concerts, unusual encounters and cycling with known Swiss personalities make the day that much more special. You're missing! Be there, be involved and show your solidarity!